I took a trip to the farmers´market to get my next dosage of carrots. The farmer with the Egyptian pyramid hat has such sweet carrtos, even though they are stored over winter they are addictively fresh and crunchy even at the end of March. 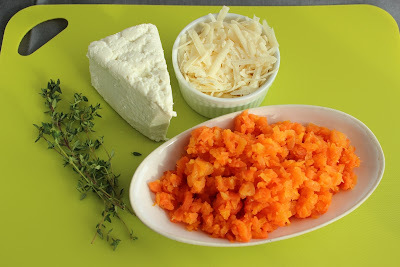 The decision of a carrot pie with goat´s cheese was taken when the young cheese maker handed me the piece of fresh goat´s cheese. I had been eyeing that cheese for a few times thinking what to pair it with. Some stronger and saltier cheese and herbs de Provance type of flavours would do the trick...with some darker flour. Mix the yeast with sugar and salt until liquid, then add the water, milk, oil and flours and combine. 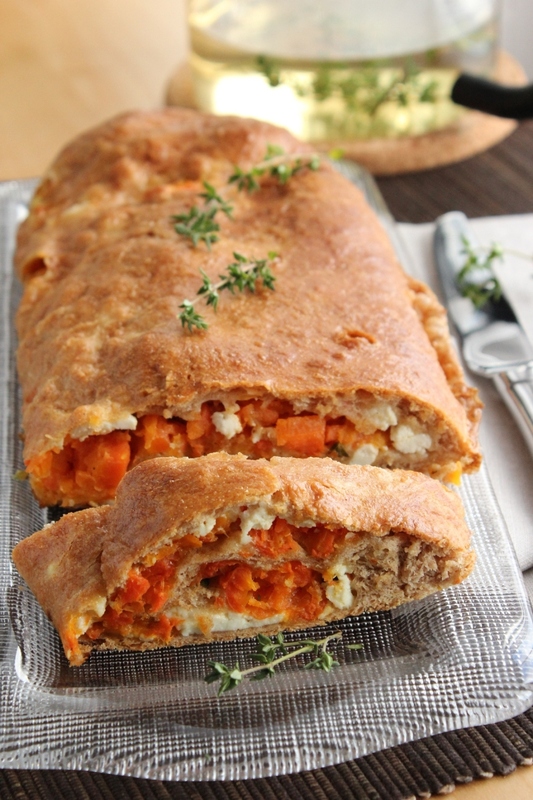 Cover the dough with kitchen towels and leave the dough to raise for about one hour. Boil the carrots in salt water, cool down, remove the peel and crush with a fork. I like a rustic slightly coarser bite. 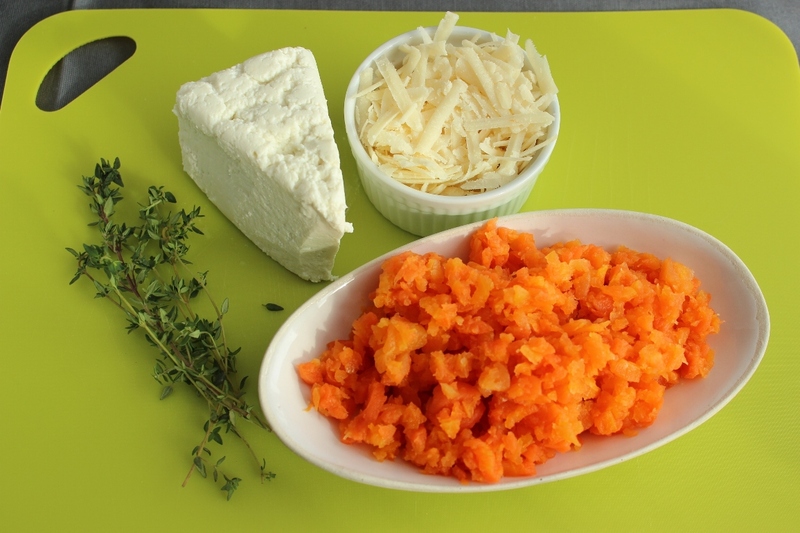 For a smooth filling crushing the carrots in a food processor will do the job. 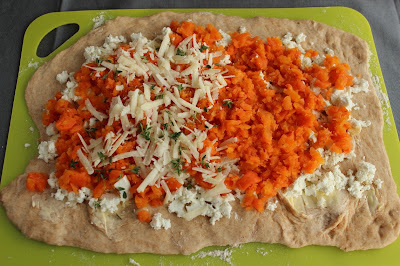 Cut the goat´s cheese into small pieces, and together with the grated hard cheese, pepper and thyme add to the carrots. Taste for salt. 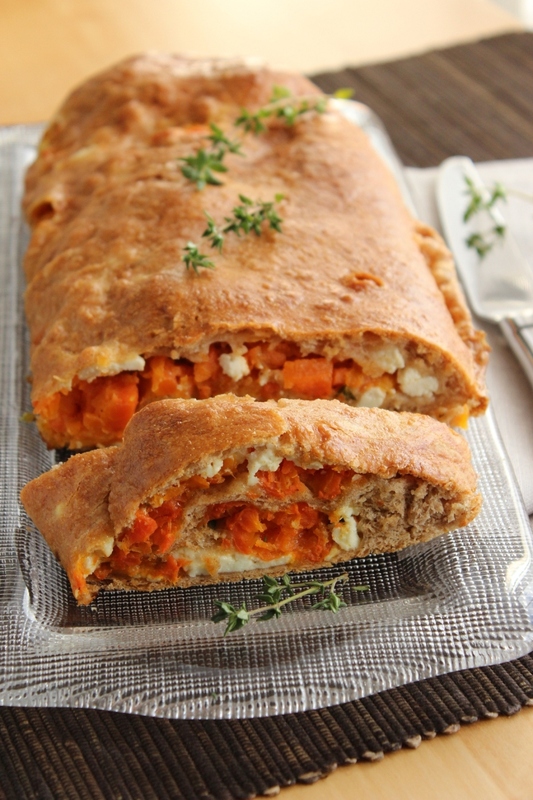 Spread the dough on a flour dusted table or counter and place the carrot mix on the dough. Roll lengthwise together. Cover the baking tray with baking paper and place the pie on the tray. 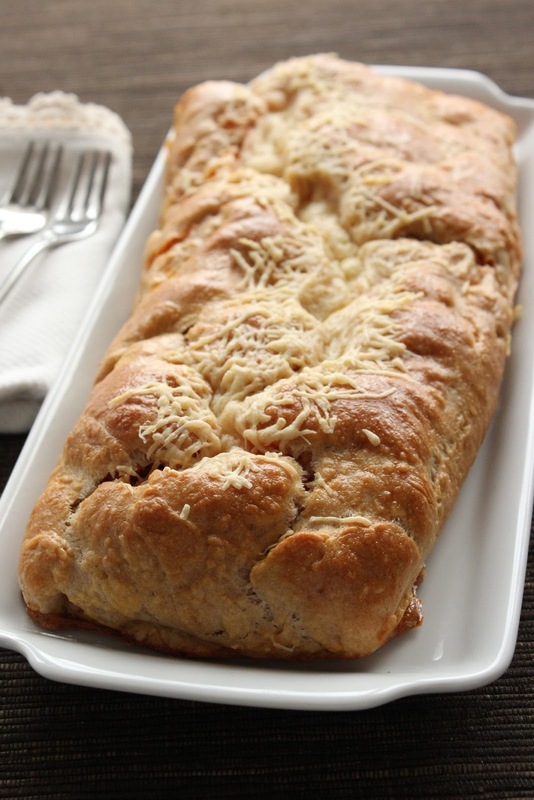 Brush the pie with the egg mixture and bake in the oven for 30 min.